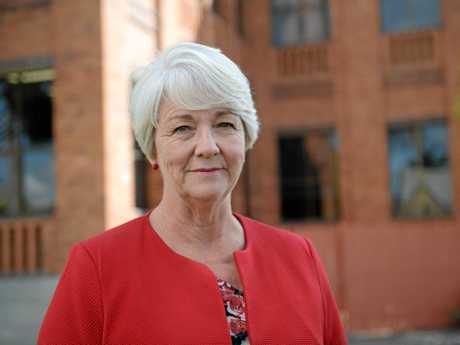 THE battle to become the new Rockhampton ALP candidate will be a close-run race as mayor Margaret Strelow confirms she is "very keen" to run were that the premier's wish. Were Cr Strelow to put her hat in the ring, she could be tough competition for Queensland Teachers' Union organiser Dan Coxen, who yesterday told The Morning Bulletin he would be standing for pre-selection. It comes in the wake of Rockhampton MP Bill Byrne's shock announcement he would not contest the next election due to serious health issues. Although a date has not yet been set for the Queensland election, it must be held on or before May 5, 2018. It gives any Labor candidate little lead time before heading full-swing into the campaign. Cr Strelow told The Morning Bulletin she would not take the decision to stand for pre-selection lightly, but that there were no forgone conclusions when it came to politics. In 2015, Cr Strelow stood for pre-selection for the federal seat of Capricornia, but lost to Leisa Neaton. Given the relatively short time before an election, Cr Strelow said her nomination as candidate would be in the best interests of Rockhampton. "My passion and commitment to the city of Rockhampton and its surroundings is well known and I have a proven track record of delivering for our community," she said. "I'm very keen to seek to serve Rockhampton from a different perspective in the State Parliament. "I believe that I have both the experience and the understanding of our community to allow me to do that job well. "Clearly I would be looking for the support of the premier and bow to her choice for nomination for the seat. There are many projects that I have been working on collaboratively with Bill Byrne and the State Government. "Given the relatively short time to the election I believe it is imperative that whoever is selected to represent Labor at the next election is already across both issues that are impacting us and the opportunities that are waiting for us. "This is an absolutely pivotal time in our story and the stakes could not be higher. Either way, whether I remain as mayor or am given the privilege of seeking to serve in the State Parliament, I remain committed to doing my best for the Rockhampton Region." For Biloela-based Mr Coxen, the shock retirement of Mr Byrne only fast-tracked plans for his future. The father of two young girls said his family was living in Biloela because his wife Sophie's job was based in the town. 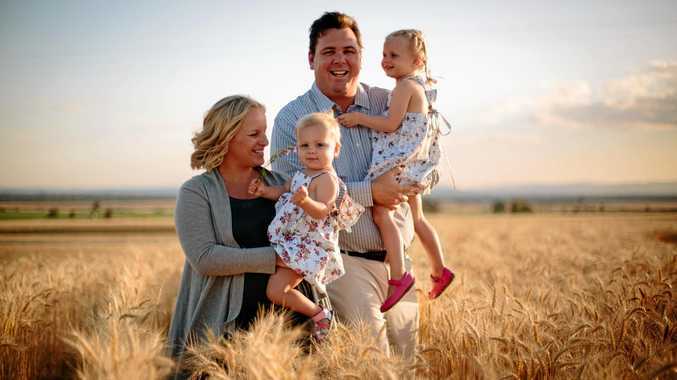 The family had planned to move to Rockhampton and Mr Coxen hoped to nominate for the seat, but imagined it would not be for at least another term. Mr Coxen said although he wasn't living in Rockhampton yet, he did have a unique understanding of the electorate thanks to his work in the Queensland Teachers' Union office based in the city. The role of Central Queensland organiser sees Mr Coxen cover an area from Miriam Vale to Nebo and out to the Northern Territory border. However, Mr Coxen was born and bred in Brisbane. 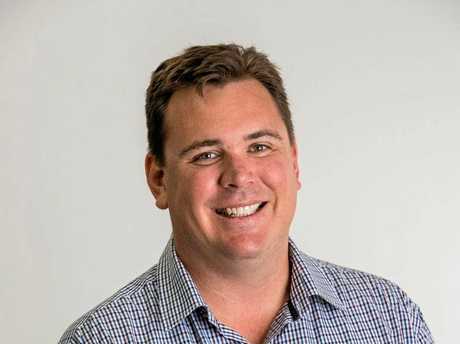 He got his first taste of Central Queensland in 2000 as a graduate teacher in Gladstone and eventually moved to Biloela where he was a department head and deputy principal. While he did have the opportunity to continue teaching, Mr Coxen said he preferred to support teachers through the union role and campaign for the best public education. "I guess the next natural progression is serving the community as a whole," he said. Mr Coxen said his close work with Ms Neaton during the 2016 campaign gave further insight into Rockhampton-specific issues. In the end, Mr Coxen said it would be good to have someone enter parliament who was not a former lawyer or political staffer, bringing diversity to the floor of Parliament. "I think parliament should be reflective of the community as a whole," he said. "I think it's a wonderful thing having teachers getting themselves into Parliament I think having people from a broad range of backgrounds does bring a richness to the parliament and that's why I think I've got something to offer." Long-serving Rockhampton MP Robert Schwarten told The Morning Bulletin he fully endorsed Mr Coxen and believed he was the right person for the job.